A two-time Juno Award winner for Best Classical Composition. 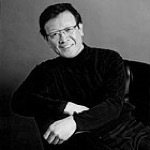 His works have been performed by notable ensembles and artists including the Toronto Symphony Orchestra, National Arts Orchestra, CBC Vancouver Orchestra, Calgary Philharmonic Orchestra, Esprit Orchestra, Hamilton Philharmonic Orchestra, Manitoba Chamber Orchestra, Orchestra London Canada, Symphony Nova Scotia, Amici, Mirò Quartet, Purcell Quartet, Rivka Golani and Lawrence Cherney. His numerous international awards include Béla Bartók International Composers' Competition, Barlow International Competitions, International Horn Society Composition Contest, Jean Chalmers Award, PROCAN Young Composers' Competition and Amherst Saxophone Quartet Composition Competition. Professor Chan was born in Hong Kong and moved with his family to Vancouver in 1965. At the University of British Columbia he studied composition with Jean Coulthard while pursuing a Bachelor's degree in Electrical Engineering. After graduation he decided to continue studying composition with Bernhard Heiden at Indiana University where he eventually obtained his Master's and Doctoral degrees in music. Since 1982, he has been teaching theory and composition at the University of Toronto. In 2001, his opera Iron Road, written with librettist Mark Brownell, won the Dora Mavor Moore Award for Outstanding New Musical. In 2002, his chamber work Par-çi, par-là, which was recorded by Ensemble Contemporain du Montréal, won the Juno Award for Best classical composition. In his 2010 chamber work The Consequential Web of Life, he built a six foot instrument called "Parlour" to represent a spider's web, a symbol of defining moments in one's life. Chan Ka Nin's choral work, She Who Hears the Weeping World, recently represented Canada at the ISCM (International Society of Contemporary Music) World Music Days 2011 in Zagreb, Croatia. His chamber work for Sheng and string quartet was performed by Wu Wei and the St. Lawrence String Quartet during the Dresden Music Festival earlier in May 2011.